Let that special wine lover in your life feel like they're discovering a treasure from another place and time with our fantastic Wood Tower Round Wine Box. 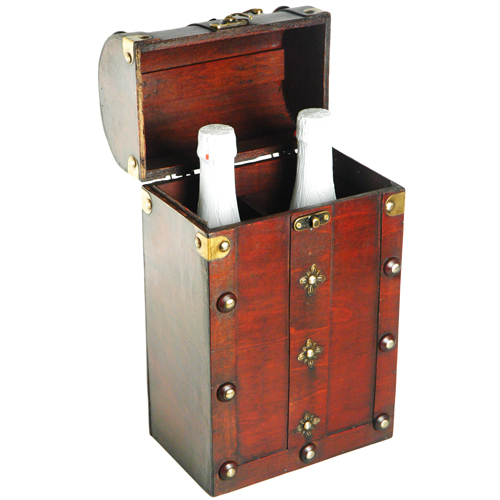 Made from durable wood, this wine box makes for a great way to give friends and family a taste of refined elegance. The exterior of this box is varnished with a stain to bring out the natural elegance of the wood, and accented with metal hardware in golden tones. Clasping shut with a special latch, this wine box gives off an antique aesthetic from a bygone era, and makes the aged wine inside seem that much more special. 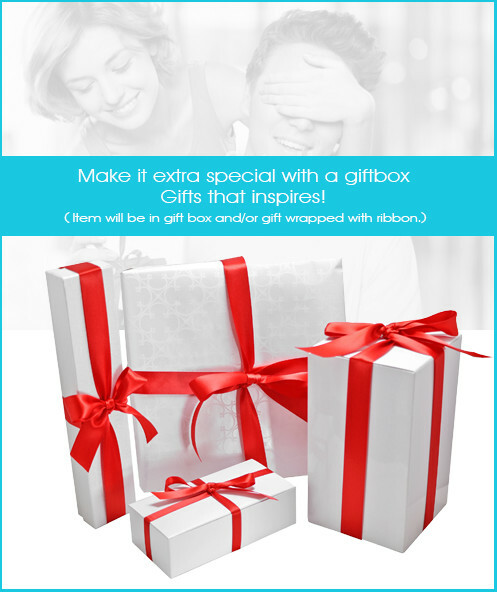 Whether it's a gift for a loved one, for special guests at a big event, or even as a special addition to your own home! 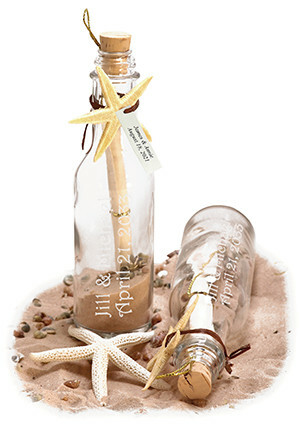 Make this wine bottle something special with an extra personal touch! 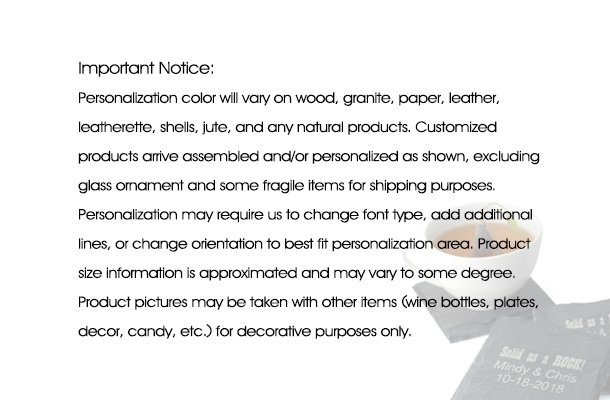 Add your own personalize name or quote on the exterior of this wine box. 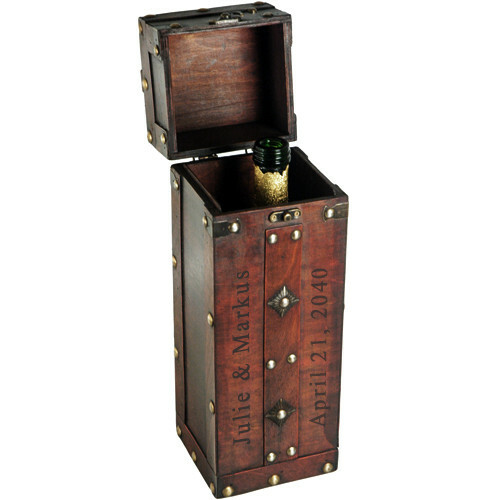 This Wood Tower Round Wine Box will really make a wonderful and lasting impression wherever it goes! Bring something truly elegant home today with this wonderfully personalized wine box! 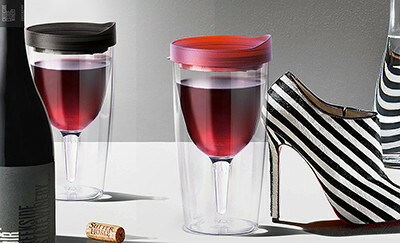 Looking for an all natural, more simplistic box for your gift of wine? Our Natural Cork Leather Cylinder Wine Box is just that, with a wonderful finish and even better appearance to house your bottle! 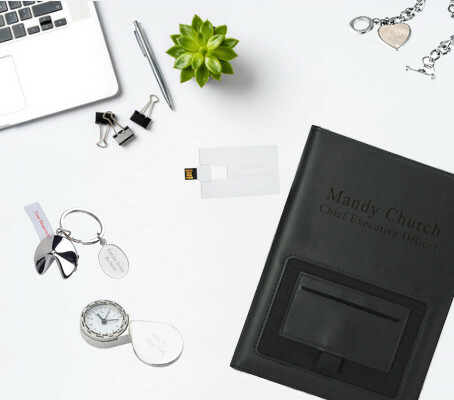 Want to give a sense of high seas adventure to your gift, or even to your own home? 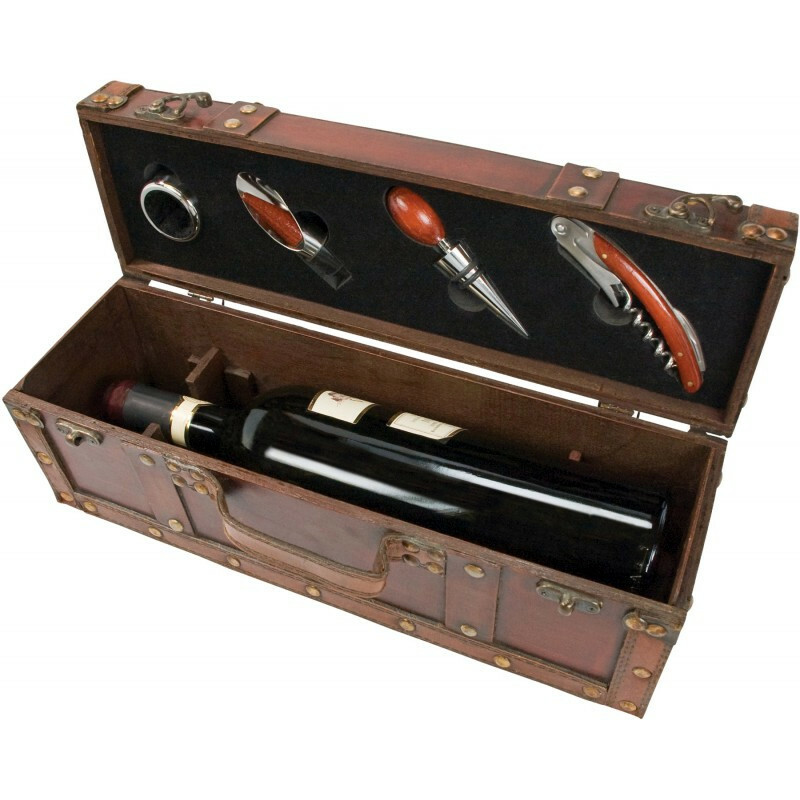 Our Treasure Chest Wine Box with 4 Piece Wine Set is just that, with all the equipment you need and a special holder for your wine all in one fabulous box! Or maybe you'd just like an accessory set to go with this lovely box. Our 6 Piece Wine Set in Mahogany Wood Box is all you need and more, all contained in custom cut foam and mahogany colored wood! 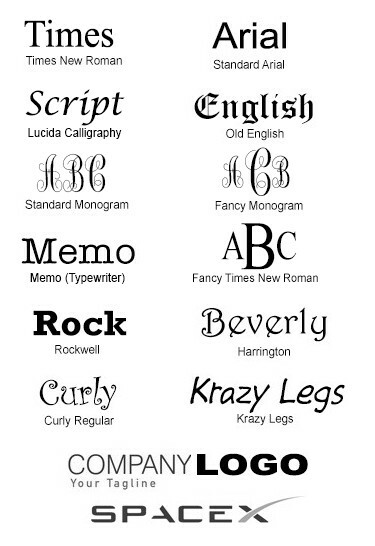 Find these and more wonderful gifts under our Gifts for Father section! 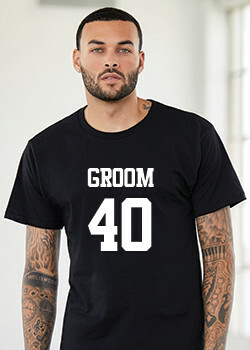 We ended up ordering two of these for some weddings we were attending. The ordering was very easy. The customer service department was so helpful offering creative ideas to help with the customization. There was a small hiccup with the second one we ordered that the customer service department went above and beyond to fix and compensate us for. 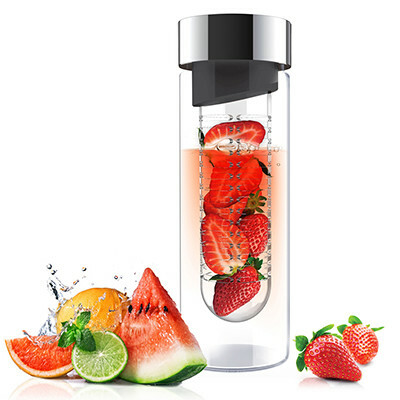 We will order these again because they are a elegant gift that people seem to enjoy.